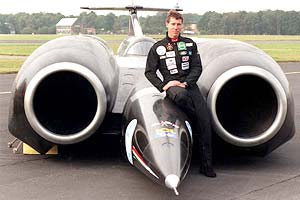 Guys were essentially taking large jet engines and build a car around it to break speed records in the mid 60’s. Art Arfons was one of the big names with his Green Monster which at one time was the world’s fastest car. His competition came from Craig Breedlove. This was pretty cool stuff and each driver was out to top the other. Arfons was the ultimate gear head shade-tree mechanic from Akron, Ohio who started building drag racers so powerful they got him banned from sanctioned events mainly powered by jet engines he scrounged the U.S. Air Force considered worthless. Listen to his secret. Born on February 3, 1926, he started with his Green Monster dragsters powered by piston and jet engines. Feeling the need for more speed, more speed, he took it up a notch with his turbine-powered speed cars. 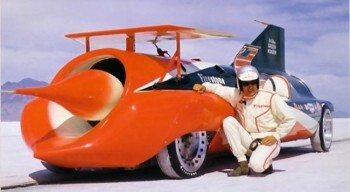 He held the world land speed record holder three times from 1964 to 1965. It was on November 7th, 1965 that went 576 mph and never as able to beat it. He was announced as a 2008 inductee in the International Motorsports Hall of Fame three days after his death. 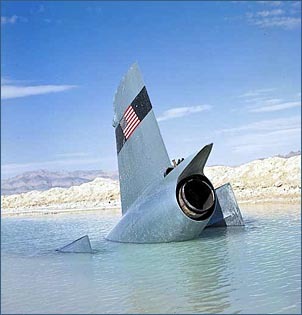 I remember Craig Breedlove even better. Beyond the records he set on the Bonneville salt flats, he also set records for American Motors. 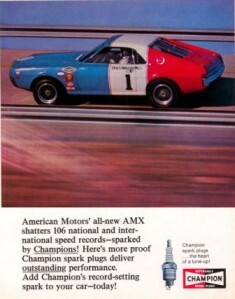 Hired in 1968 to prepare AMC’s pony and high-performance cars, Javelin and AMX, for speed and endurance records which he set. From my collection, this is one of the ads AMC ran to promote the records. Breedlove’s competition came from not only Art but his brother Walt. Breedlove’s response was more engine power upping the record to 468.72 mph and then to 526.28 mph making him the first man to exceed 500 mph. I remember this pass because one of Breedlove’s drogue parachute‘s shroud lines parted, and Spirit of America ran on for five miles before just missing a telephone pole and coming to rest in a lake. This record stood all of twelve days before Green Monster broke it, recording a two-run average of 536.71 mph. Back and forth they went. Arfons did is 576 run then Breedlove responded with 600.601 mph. Now let’s throw in Gary Gabelich‘s Blue Flame (top right). 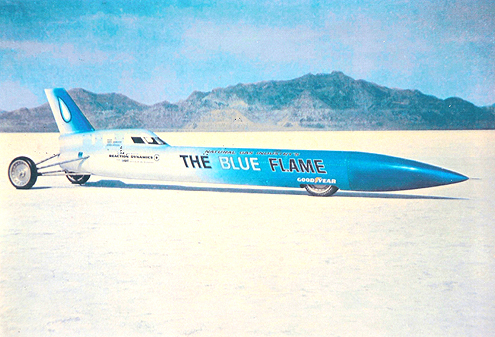 In 1970 he broke Breedlove’s record running 630.388 mph. After that things shifted into low gear for Breedlove. 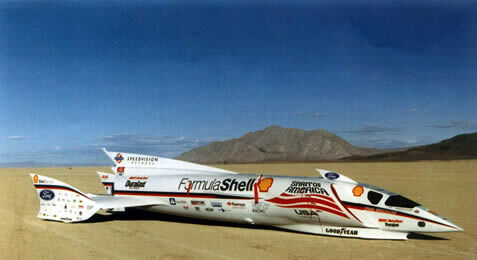 He took a break to sell houses and then returned in 1996 with Spirit of America Formula Shell LSRV (right) pumping out 22,650 pounds of thrust but crashed on his first run at about 675 mph. Wow! Enter the British ThrustSSC which then went over 700 mph. Breedlove made one more attempt after repairing his car and thinking it could do 800 but the best he could go was 676 mph and that was pretty much all she wrote. There were some attempts by other drivers after that but nothing like what happened during this period.